Mycology Fact Book from C.H.I.P.S. The Mycotoxin Factbook covers the latest developments to combat the mycotoxin problem. 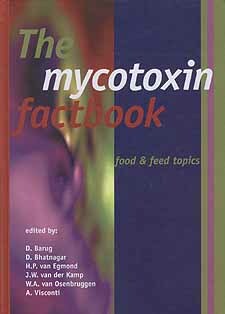 The Mycotoxin Factbook contains the results of the third conference of the World Mycotoxin Forum. The book focuses on mycotoxin food and feed risks in the context of human nutrition and animal feeding. Mycotoxin prevention: What’s on the horizon?